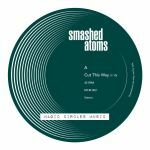 Review: Making his debut appearance with the Magic Circles Music label, Smashed Atoms lays down the law with a bubbly, warm and disco-inflected vision of contemporary house music for the groovier end of a warm up session. "Holding On" bursts with positivity as chirpy organ stabs and plush pads swirl around the slow but strong rhythm section. "The People Come Together" meanwhile gets a late 80s boogie kink in its swagger, ramping up the bass and throwing in some powerful chord progressions to get the soul stirring. "Wonderlust" finishes the EP off with a breezy, summer-ready jam for feel-good times in the sun or under the stars. 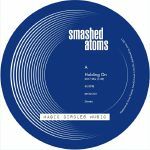 Review: Smashed Atoms make a return after launching the Magic Circles label earlier in the year, bringing more of that sassy disco flavoured house music with a fondness for the good old way of doing things. The nods to "Rapture" are hard to ignore on "Cut This Way" even if the ingredients are fresh, and there's no denying it's the perfect formula for an addictive dancefloor cut with an old-skool hip hop monologue over the top. "Lost Someone" is a more sprightly affair that plays off bouncy synth lines and another discoid drum groove to create its infectious good time message.